Military business directories such as Veteran’s List and The Rosie Network show that many veterans and military spouses have transitioned from military life and created successful businesses. You can find retired and separated military families throughout the country. 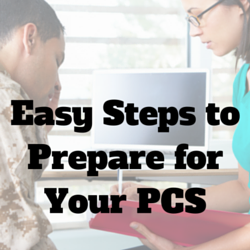 At the recent USAA DigitalMilEx (#USAADigiMil) conference in San Antonio, a speaker raised the point that military families tend to go to one of three locations when selecting their final PCS station. In a talk entitled “I’m Going to Leave Active Duty, Now What?” Eric Endquist, the Assistant Vice President of Military Transitions at USAA, shared that geography is a huge factor for military families making their final PCS decision. These are all reasonable choices; we "go where we know." When the military has decided where you live for so long, it can be hard to make that decision for yourself. While retiring to paradise--a remote island in the Caribbean, for instance--may sound idyllic and keep you motivated to continue to save for that retirement, that type of retirement may not serve as the best choice for most military families. In lieu of either paradise or orders, military families default to friends and family. Why shouldn’t we seek an opportunity to live near our support groups--our friends on base or our family? According to USAA, choosing your final PCS station based on this geographical reason is a problem. Endquist explains that this is a problem because it’s not the most conducive to finding the best opportunities for employment post-military separation. When you decide what you want to do, you may realize that moving back home is not in line with those goals for your life. That may be difficult to convey to the family and friends who expect that you’ll come back now that your career with the military is over. While they may have understood that you couldn’t live near them while Uncle Sam mandated where you must move, relations may grow a little more uncomfortable when you announce that you’re moving to another location. Again. Knowing this, though, you can prepare your family for your new reality by explaining how this move will help you better support and provide for your family. It’ll be hard for your family to find argument with that. To help find a location for your family based on job opportunities and educational opportunities, check out USAA’s Best Places list. Currently, three cities in Texas and two in Pennsylvania are in the top ten. The list shows the median rental price, median house price, unemployment rates, local colleges, and top employers in the area. Their new Best Places list will launch in October. And, of course, once you do find that location for your final PCS, you can pay it forward to your fellow military families by renting or buying a home from them to help that family make their next big transition, too.